Some of my best memories are the joys of getting a sale for Girl Scout cookies … myself as a girl going door-to-door, and my own daughter when a neighbor bought two cases from her to treat his whole office. Chances are you know that we are in the midst of Girl Scout cookie season – and if you have a daughter, you may have a young cookie entrepreneur of your own. 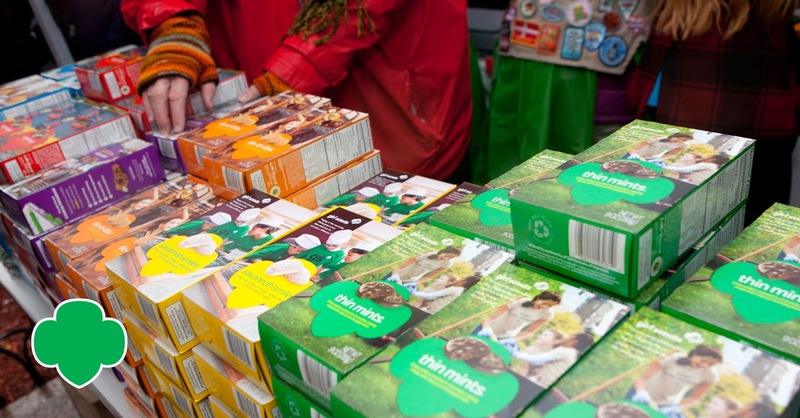 There is no shortage of options for consumers when it comes to purchasing an after-dinner treat, but there is something about Girl Scout cookies that causes them to rise to the top. Perhaps it’s their limited availability (cookie season is just a few months a year); perhaps it’s because of their unique flavors. But in my long association with Girl Scouts, including serving during my time in the Senate as co-chair of Girl Scout Troop Capitol Hill, I’ve always believed it’s because everyone knows that buying Girl Scout cookies is good for the world. When you buy cookies from a Girl Scout, you are investing in so much more than a box of treats – you are investing in her future, and the future leadership of our country. 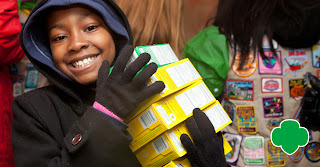 The Girl Scout Cookie Program is a vitally important program for girls. A cornerstone of the Girl Scout experience, it’s the largest, most successful girl-run business in the world. Through this program, girls not only learn goal setting but also decision making, money management, people skills and business ethics — key 21st century business and finance skills. The Girl Scout Research Institute studies these benefits and found 85 percent of girls develop money management skills through the cookie program. Many times, Girl Scouts decide to utilize their earned funds to give back to their communities, which is good for the world. They may decide to donate troop proceeds to a local animal hospital, build a playground or use their hard-earned money to help fund a back-to-nature wilderness adventure. Whatever the specific goals and outcomes, I can testify that participating in the Girl Scout Cookie Program does great things for girls. On a deeper level, financial skills are leadership skills in an ever-changing economy and world. As the premier leadership organization for girls, Girl Scouts supports girls’ financial confidence, skills and independence by providing them with resources focused on everything from saving to developing strong credit, minimizing debt, philanthropy and financing their dreams. 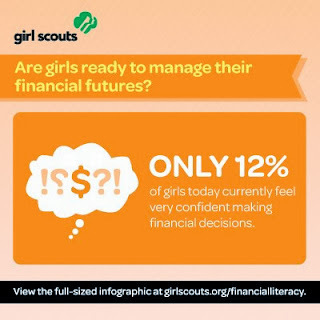 According to the Girl Scout Research Institute study “Having It All: Girls and Financial Literacy,” girls are quite clear that they need and want financial literacy skills to help them achieve their dreams, with 90 percent saying it is important for them to learn how to manage money. However, just 12 percent of girls surveyed feel confident in making financial decisions. It is critical to ensure today’s girls are developing the financial savvy, business skills and innovative thinking that will position them to be leaders. An overwhelming majority of girls feel gender is not a barrier to what they can accomplish financially. So perhaps that’s why buying Girl Scout cookies feels so satisfying to me. After the boxes are empty and the cookies are gone, you’re left with a feeling of fullness and fulfillment, knowing that you played a small part in helping a young girl – a young leader – reach her truest potential. In a world that too often throws up roadblocks for girls, you helped tear them down. The cookies? That’s just the dessert, your prize if you will, for a job well done. Hutchison is a former U.S. senator.